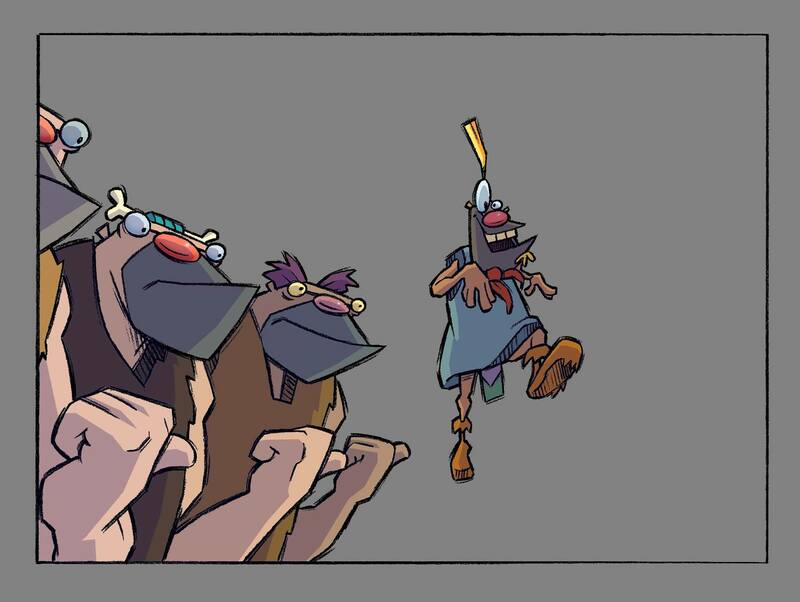 Gavrilo Gnatovich created Longhair and Doubledome for Cartoon Network which features these wacky Cro-Magnon Men. He is now looking for your support on Kickstarter! Gavrilo’s hope is to fund, “The Dawn of Longhair and Doubledome” and that will make way for Episode 3 of Longhair and Doubledome. We asked Gavrilo for an interview and he was more than happy to oblige! Question: Tell us how you got your start in animation? Gavrilo: I had both an odd start to my animation career and a lucky one. I went to Boston University where I majored in Painting. While chasing my future wife out to Chicago where she had just got hired as a nurse at Children’s Hospital Chicago, I was lucky enough to land a summer job at Jim Braddy Photography, a big time “Come to Marlboro Country” photo studio in Chicago. I was very far down the totem pole, the part that isn’t even above ground, but it was worth it. Jim’s sales rep, Tom Parker, was also the sales rep for Richard Williams Animation in London. Richard, at the time, was trying to fund his “Thief and the Cobbler” while doing some of the most beautiful animation I had ever seen. I became intrigued. Luckily, Richard would come to Chicago from time to time, (twice that summer) and Tom was nice enough to invite me out drinking with him after his pre-pro maeetings. I told Richard I was very interested in animation, and that is all it took. Richard was off and running, teaching me about animation, while we ate burgers and drank beer at a place called the Knight Cap in Chicago. Besides his mantra to “draw, draw, draw”, something he put in every letter to me that followed, Richard explained and acted out every principle important to his work. Looking back, I may have been one of the first to take Richard’s future animation seminars while drinking late into the night. He is a remarkable teacher and I was hooked. His advice to me was pre-Nike, “Just do it”. After a very short stint in Chicago, my now wife and I moved back to Boston and I followed Richard’s advice, and started to animate my first film, Lazar. After throwing away the entire first year of work, I started over. I worked in a bakery from 2am until 7am and then went to a small studio in Natick, MA until evening, drawing, animating, inking, everything. I was able to find some help painting all the cels (great help) and 5 years later I had finished the film. “Lazar” had made me an animator, a filmmaker and employable. I interviewed with Richard, Glen Keane at Disney and a small commercial animation studio in Minneapolis, Bajus-Jones, where I was hired as an animation director. Question: What inspired Longhair and Doubledome? Gavrilo: I have always loved cavemen, probably due to growing up in a sewer and water construction business in Cleveland, OH. That could explain for a lot of things. In 1991, I created another independent animated short film entitled, “Pre-Hysterical Daze”, an abstract tribute to Tex Avery for Expanded Entertainment and distributed as a part of the Fourth Animation Celebration. 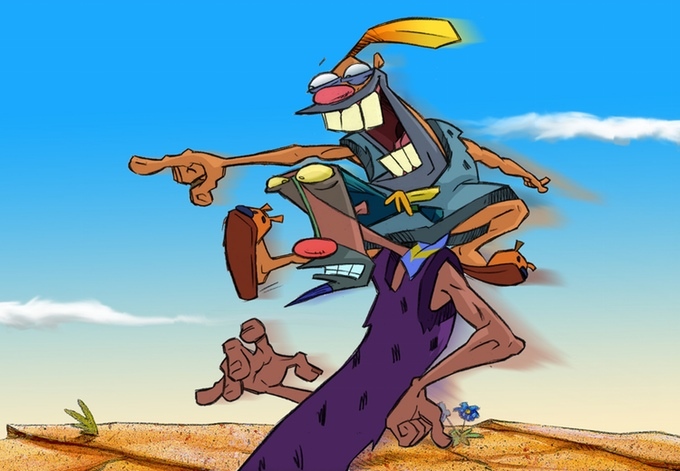 Although Longhair and Doubledome did not appear in the film, my then business partner, Todd Myers and I had began to toy around with a story for two new caveman characters I had recently designed, Longhair and Doubledome. 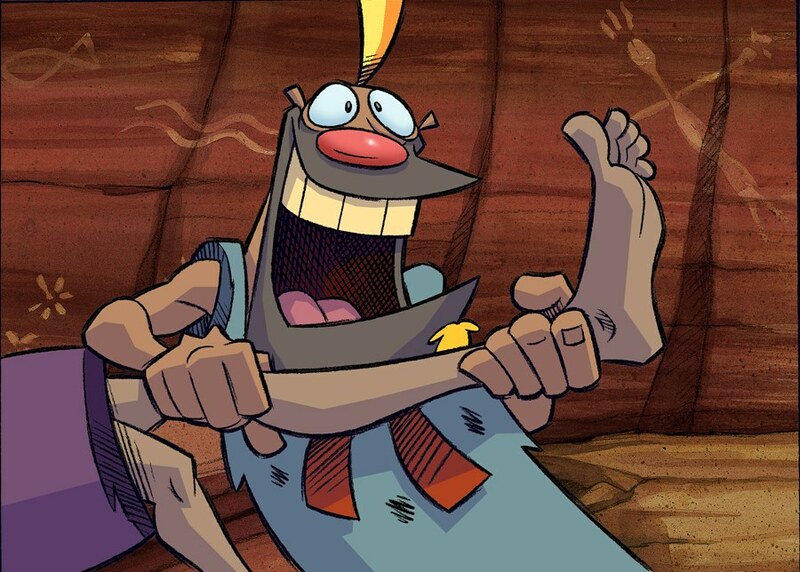 But as life has it, Todd and I formed Knock Knock Cartoons, Ltd.,LLC and got busy doing animated commercials and shelved the project. In 1998, Linda Simensky at the Cartoon Network who I had met at the LA Animation Celebration where Pre-Hysterical Daze had premiered asked if I wanted to be a part of the “What a Cartoon” shorts program the Network had started. I dusted off Longhair and Doubledome, changed the heck out of it (re-design time) and successfully pitched it. Although I loved the unusual and fun designs of these two pseudo cavemen, the true inspiration became complete when Donna Grillo, a fantastic LA voice director, cast Daniel Davis as Longhair and Jess Harnell as Doubledome. The voice acting made them come alive for me. Question: Your campaign has been successful so far, what are your plans for Longhair and Doubledome’s future? Gavrilo: A third hand drawn animated episode. It is kind of a “bucket list” item. I love these guys and I love animating them. I truly miss it. There is an executive at the Cartoon Network who has always loved these guys too and he has been very helpful in getting permission from the Network for me to give this whole thing a shot. I am starting with a graphic novel first, which allows me to introduce far more than I can address in a 7 minute short. It also allows me to paint the full picture of this cartoon prehistoric world and introduce Longhair and Doubledome to a larger audience. I like the idea of bringing something from the dead, I don’t know of any failed series pilot being worked on for no good reason and I am just the idiot to do it. But more importantly, it allows me to work on something that I love, both in terms of content and technique. Draw, Draw, Draw, right? 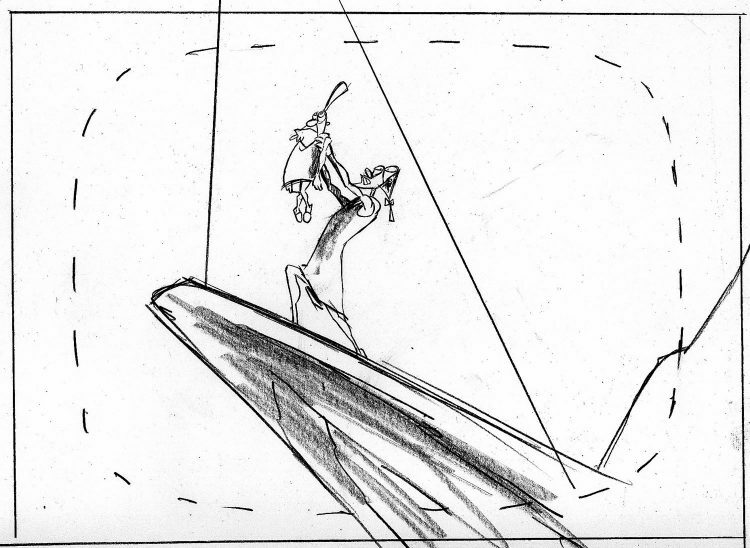 Question: Lastly, what about Traditional Animation is Special to you? 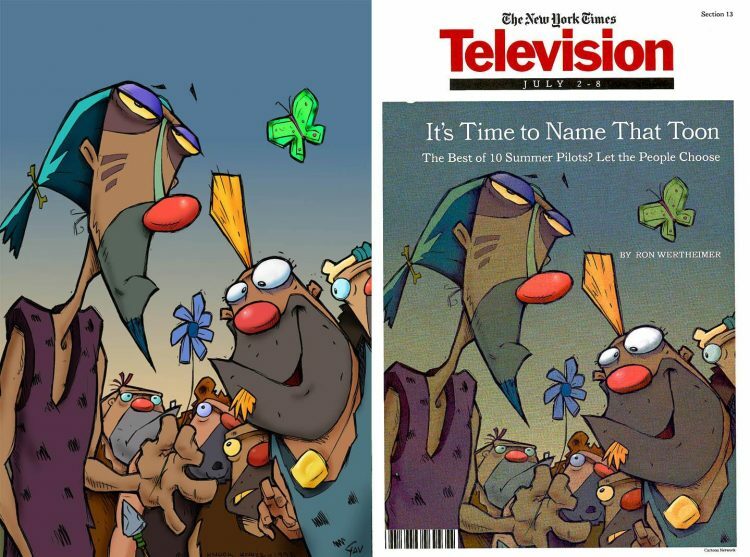 Gavrilo: Hand drawn animation ended for Knock Knock Cartoons and myself around 2002, since then I have chased the digital world and all its ridiculous short cutty, programs. I learned Flash and After Effects and hated it. I missed making mistakes and working with them, I missed working without a net where there are no infinite “undos”. So last year, I decided to put away the Wacom tablet and start drawing with a damn pencil again. With a simple pencil, I can make every mark I want to make, I have total control over my line, and it thankfully no longer looks like a blob brush. So what is special to me about Traditional Animation, is the unique ability to show, “hand”, show your true skill and uniqueness as an artist. There is no homogenization, no plastic doll finish, no generic faceless, lineless, flat characters, but there are my characters, my line, the form I can create and the mad skills I have worked so hard on. First, I would like to thank the Cartoon Network for giving me the permission on this project and allowing me to continue to work (once again) on these inept cavemen. This is the Good Wheel Hunting pilot, my studio Knock Knock Cartoons created for the Cartoon Network featuring two of my favorite characters, Longhair and Doubledome, the last traditional cel labor of love job of my career. The story of Good Wheel Hunting has been worked into this very broad and funny story for the graphic novel, with touches of Tex Avery like gags but focused on how these two Cro-Magnon men meet and the Neanderthal world they must lead, that is what this graphic novel is all about.